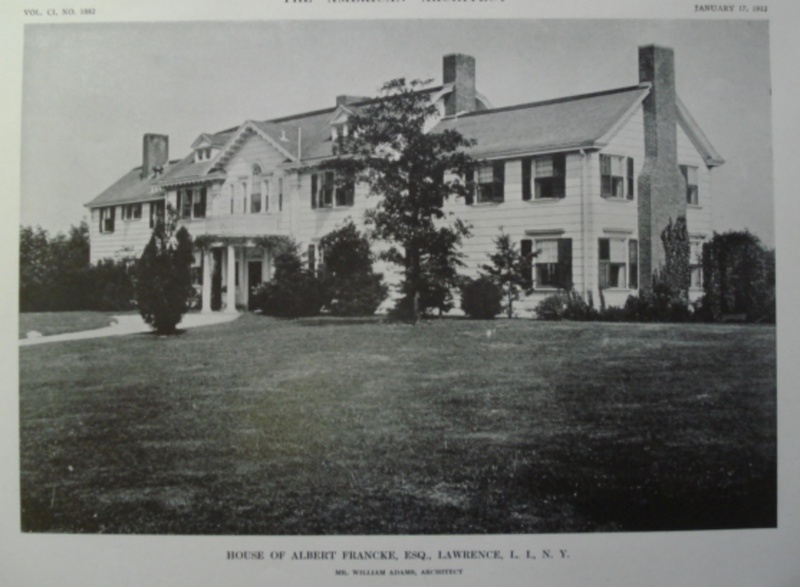 The Albert Francke Sr. residence designed by William Adams c. 1911 in Lawrence. Francke was a partner in the brokerage firms of Jacqueline & deCoppet, Carlisle & Jacqueline and L.H. and A Francke. The house sat on Meadow Lane but appears to no longer be extant. Photo from The American Architect, 1912.